This is an easy peasy sweet which can be made in minutes. 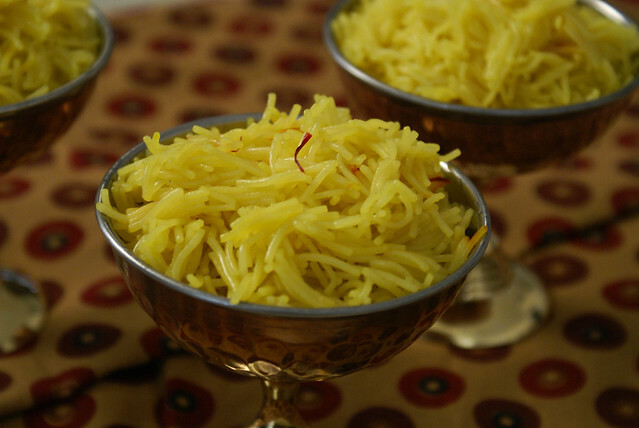 This is a light dessert which is perfect after a heavy lunch or dinner. Boil Semiya in enough water till done (al dente). In a wide pan, add ghee. Once warm, add in semiya and sugar. Add in salt and saffron milk. Stir frequently on medium high till most of the moisture evaporates. 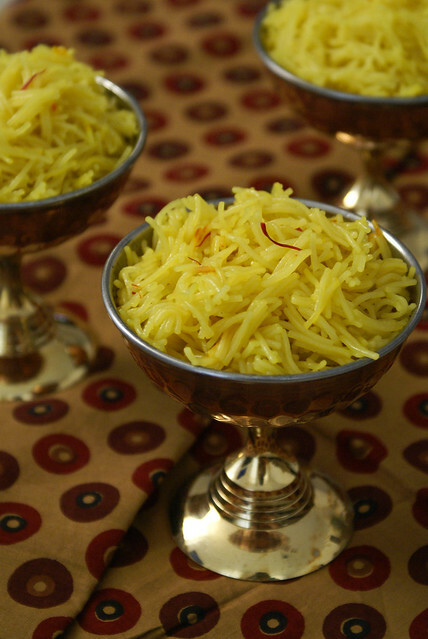 Saffron is for color and flavor. 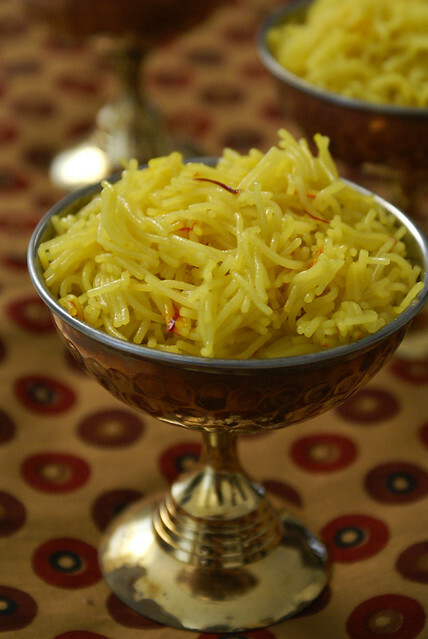 If you do not have saffron, add in powdered cardamom for flavor. You can even add few drops of red coloring for a bright color. 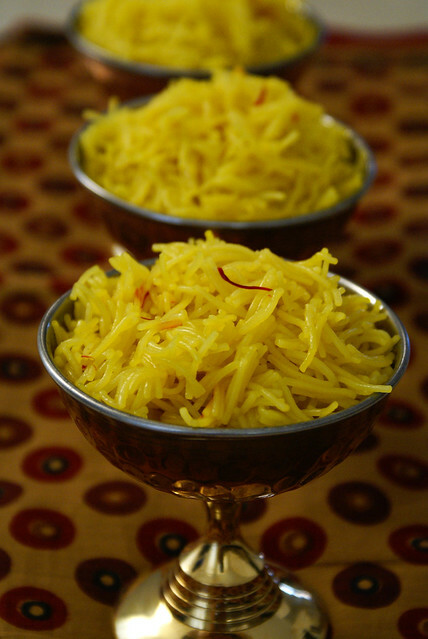 Hi Spandana, vermicelli dessert is my absolute favorite. I too recently posted my version of this dessert which is a little bit different than yours. Beautiful snaps! Thanks Nandita…. I am glad you loved it. You have a lovely space too!! Keep visiting!